The market for the capture of crab and centollón in the Region of Magallanes. Crustaceans that have gained ground abroad. But we know specifically where in Chile they are extracted, who do this work and how they do it. 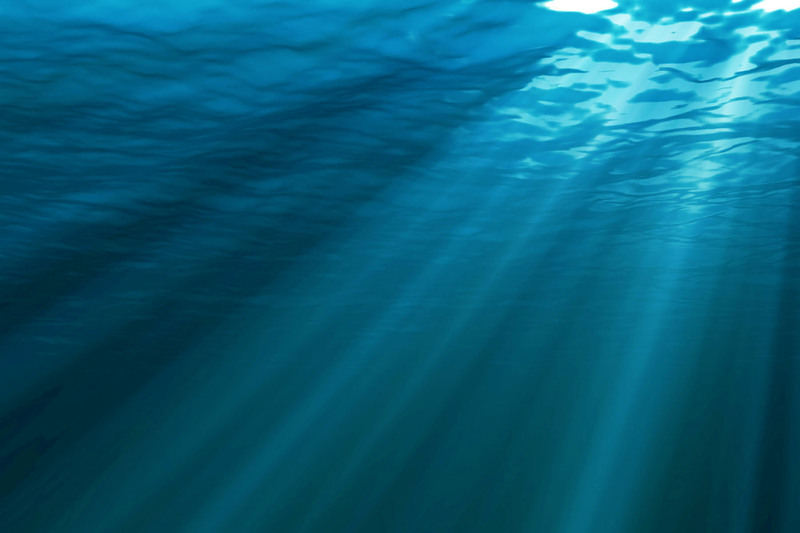 We speak of people who to the monetary benefits, add isolation, solitude and constant risk. The largest & most impressive of all crabs caught in the globe. No other shellfish in the world projects a more elegant image or offers such a widespread appeal than King Crab. This valuable and desired crustacean is unmatched due to its sweet flavor and rich tender texture. It is prized gourmet crab with an outstanding look and delicious meat, wich has a sweet buttery natural flavor, succulent taste and incredible delicate texture. In other words, it is simply a great sensual delicatessen experience. 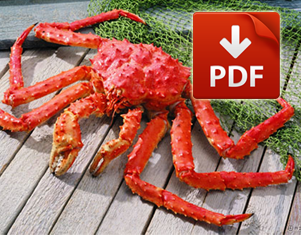 King crab outside shows brilliant bright red scale of colors. Red fire brick, sienna, carmine, saddle brown, maroons, contrast with the snow white color of its meat. This symphony of colors is incredible, mixed with a sweet briny flavor and tender texture made an exotic visual and tasting experience. The product is sold whole with or without guts, individual quick frozen (IQF), it is introduced into a special plastic bag to maintain the king crab shell safe and beautiful. 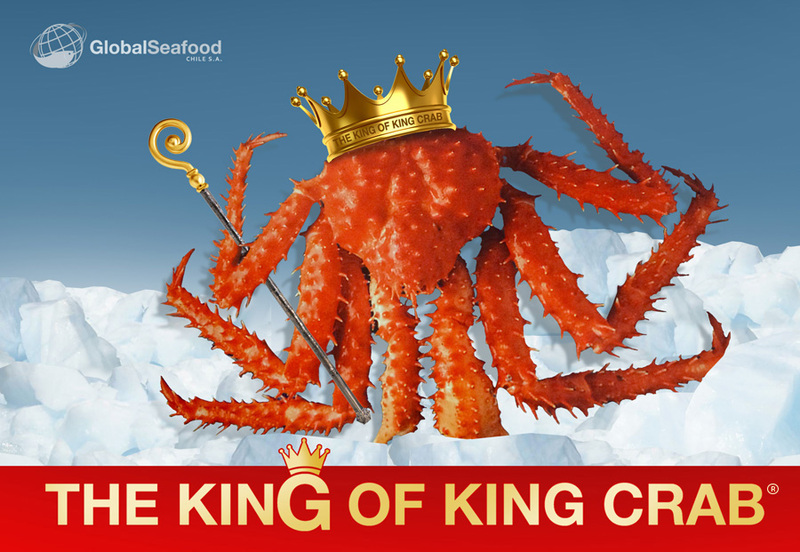 King Crab of GLOBAL SEAFOOD CHILE S.A. is 100% natural, wild, sustainable and traceable to its source. It is delivered live to our plant, hand selected, precooked, IQF frozen and glazed to preserve texture and humidity, prevent "freezing burns" and oxidation of the snow white meat. In gourmet tourism industry, visitors enjoy hot-spring baths and they eat king crab under different recipes. An interesting taste can be experience when green and slightly bitter inner guts are heated with sake in the emptied carapace over a low flame and used as a dipping sauce. Description: Wild Patagonian, Single-Frozen, 100% Natural, raw or precooked. 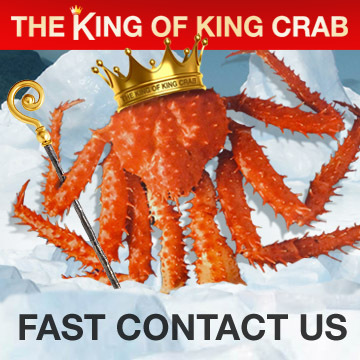 Sizes Whole King Crab: 800-1000, 1000-1200, 1200-1400, 1400-1600, 1600-1800, and 1800-2000. Sizes Cluster: 600gr under & 600 gr over. Master Case: White Cardboard box of 12 kg variable weight. Case Dimension: 660mm x 410mm x 240mm. Other packs available upon request.